Meta Rabinowitz married Lester Cannold June 29, 1913 in Queens NY. Cannold was my best guess of Meta's married name based on the 1930 census handwriting, so this is a definite match. Lester was the unhappy schools superintendent. Meta was Walter Ruby's sister. Then I did an Ancestry.com search on Meta's son's Thaddeus and Harrison Cannold (Stan's first cousins) and found both their U.S. Army enlistment records. The data follows. Check out their occupations. 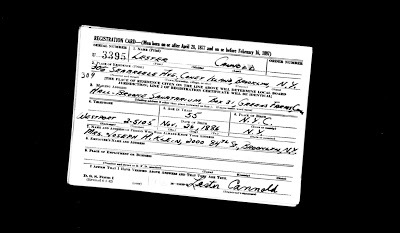 Lester Cannold was 55 and residing in a Connecticut sanitarium in 1942, but he still had to register for the draft in WW2. Here is his draft registration record. Click to enlarge. 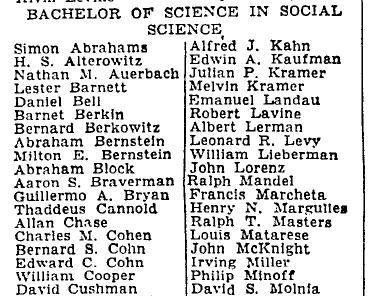 Still following up the Cannold family, I decided to look in the NY Times article archive. Here are the two items I turned up for Thaddeus Cannold--his February 1939 graduation notice and his December 1946 obit notice. 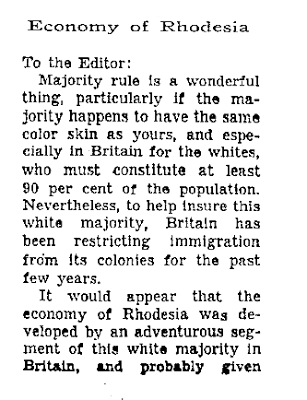 Well, here's good news, a letter to the editor of the New York Times written by Harrison Cannold in November 1965. This is our first sighting of Harrison after WWII, and it opens up likely avenues for learning more about his life and possible descendents. It is even remotely possible that he is still living. I don't have his birth date handy, but will look for it on the 1920 or 1930 census record that we have.